Are you ready for it? We sure are! Every July something magical happens here in the heart of downtown Calgary, Alberta. Something that causes the crowds to gather by the thousands, raises the energy of locals and tourists alike, and provides time for creating meaningful memories that last a lifetime. Overnight, Alberta seemingly grows a new city that for the span of 10 days, eclipses the population of both Lethbridge and Red Deer making it the 3rd largest city in the province! We are talking about the historic, mesmerizing, one of a kind Calgary Stampede of course! The Calgary stampede can be traced back over 100 years! The first stampede was introduced in 1912, but it wasn’t until 1923 that the expedition and stampede were merged together. The fair had its ups and downs, failures and successes, and even disappeared years at a time before finally becoming the event that world has fallen in love with. Honesty, we don’t know how we ever went without! 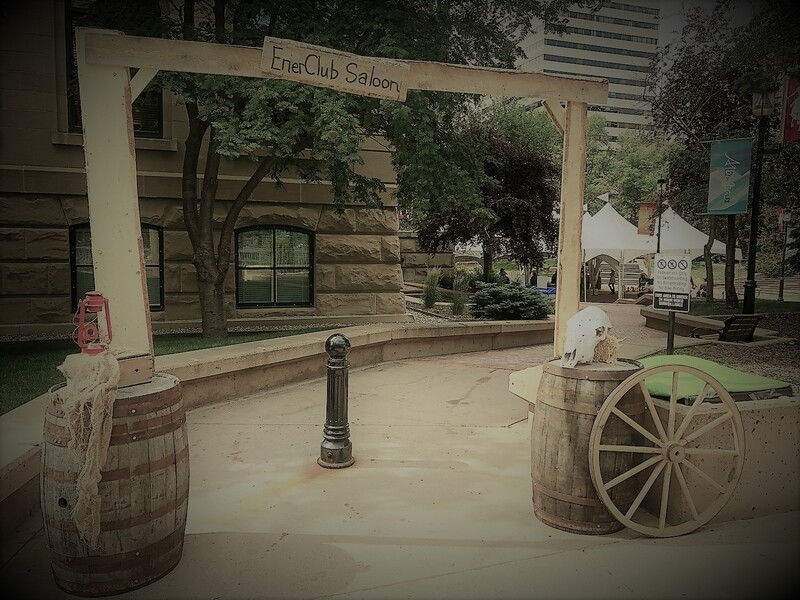 Learn more about The Calgary Stampede’s rich history here. Today’s stampede offers something for everyone, and yes, we mean EVERYONE! Parade: The kick off! Usually takes place shortly before 9am on the first Friday of the event. 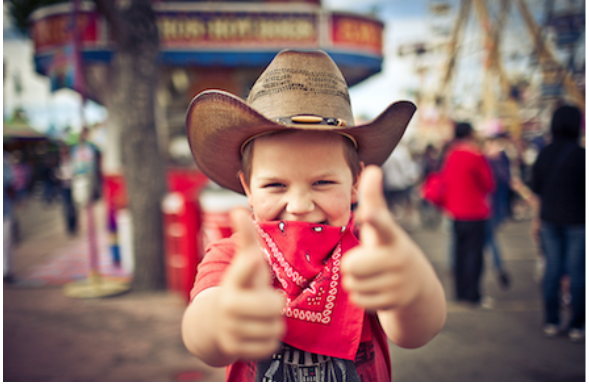 Rodeo: The very heart of the Calgary Stampede! Excitement, skill, and incredible prizes!!! Chuck Wagon Racing: Invented here in 1923 specifically for the Calgary Stampede! Exhibitions: Where it all started: made up of farmers, blacksmiths, livestock and more, there is so much to see and celebrate! Midway: Some of the best rides, carnival games, food, and country music! 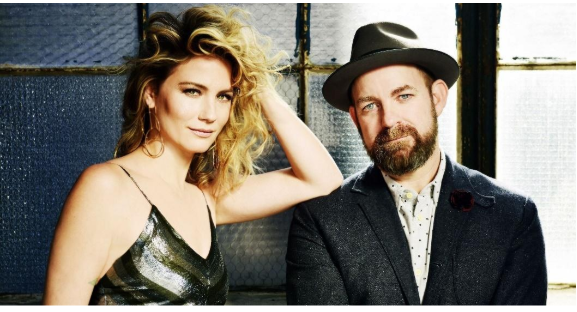 This year come on down and see some amazing live performances such as Zac Brown Band and Sugarland! Check back here this spring to find more talented featured country artists. Aside from EVERYTHING, one of our favorite stampede components has to be the incredible and unique food that venders from around the country bring year after year. 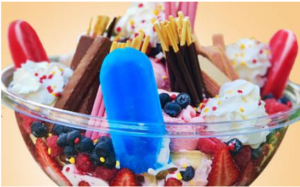 Whether you’re an adventurous foodie looking to try Prairie Oysters, Cricket Grilled Cheese, Kangaroo Burgers, and Sushi Doughnuts or simply someone looking for a sweet and delicious treat such as Ice Cream Cookie Dough Sandwiches and Kit-Kat Fries, you won’t be disappointed! We can’t wait to see what food will make its way to the stampede grounds this year, but for now, let’s explore and drool over some of the top favorite foods to make an appearance in 2018! See them all here! If tantalizing foods, fun, and family weren’t a good enough reason to come on down and show your support for The Calgary Stampede, then you will be happy to know that this amazing festival is also GREAT for the economy (and we Albertan’s definitely need some of that!). For every $1 spent by tourists in the stampede grounds, $2.65 are spend around Calgary on hotels, taxis, shops, and other tourist expenses. 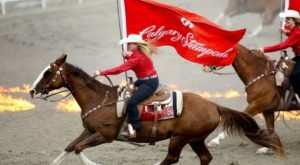 In fact, The Calgary Stampede is the highest economic grossing festival in ALL OF CANADA. That’s right! Just For Laughs ain’t got nothing on us. Further more – and here is where the real WOW factor comes in—it’s all NON-PROFIT. That means more money for local education and development! Who doesn’t love that?! So, come on down to one of the world’s greatest attractions and be apart of the magic and wonder! We’ll be there feeling humbled and honored to be supporting the stampede through our quality, uniquely crafted country-western displays! Hope to see you there! Are you a 2019 Calgary Stampede vendor looking for the perfect, authentic, country-western showcase? Look no further! Need something extra? We can provide that too!